Champittet students had the opportunity to learn more about bees thanks to the visit of Mrs. Mermoud. Mrs. Mermoud, a beekeeper from the Lausanne area, told students about the world of bees, and her job. 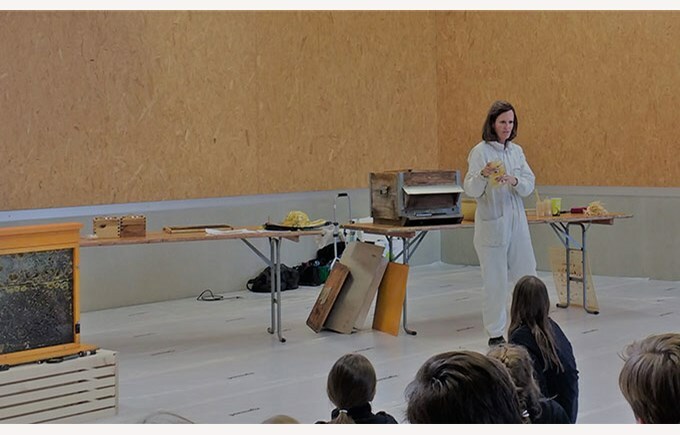 The students were enthusiastic about the topic, and learned interesting facts, such as the size of a queen bee in comparison to the other bees, and the difficulty of integrating a new queen bee into a hive. 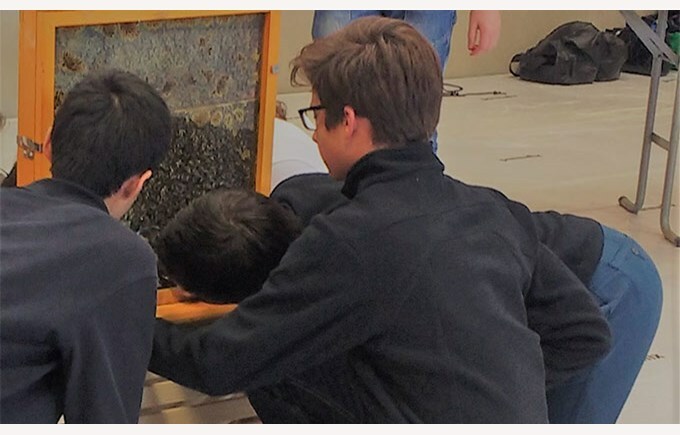 Following Mrs. Mermoud’s presentation, the students were able to take part in several activities related to bees and beekeeping. These activities involved looking at bees under a microscope, seeing a beehive close-up, and tasting honey. Overall, the students greatly enjoyed the chance to learn about bees!